Described by the eminent pianist and teacher Bela Siki as one of the most talented pianists of her generation, Marilyn Meier’s extraordinary critical acclaim established her as one of the foremost interpreters of the piano from the late 20th to the early 21st century. 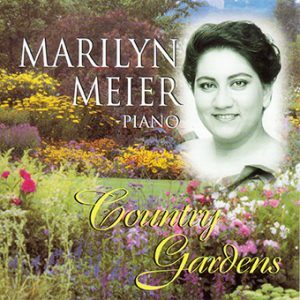 Dr Marilyn Meier was an Australian pianist from a multicultural background – Tongan mother and Australian-born German father. She started piano studies at the age of four, went on to study in the USA with Bela Siki at the College-Conservatory at the University of Cincinnati and at the Mozarteum in Salzburg, Austria. She completed her Doctoral studies at the University of Wollongong in Australia with a thesis on Chopin’s Preludes. Dr Meier was in regular demand as a performer and piano competition adjudicator. She recorded three albums on compact disc: Just Chopin, Liszt Legends and Country Gardens. Her research interests included piano and performance practices and techniques, the music of Frederic Chopin and Tongan music. In Tonga, she organised tours by Australian performers and orchestras, was a frequent performer for the late King Taufa’ahau Tupou IV and was awarded the Silver Jubilee Medal for services to music in Tonga. Dr Meier was most recently Lecturer in Piano at the University of Southern Queensland in Toowoomba. Marilyn finally succumbed to a rare form of liver cancer and passed away on Friday 22 June 2012.